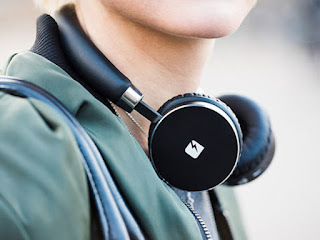 The Ventura Wireless Headphones offer absolutely everything you want out of Bluetooth headphones. Boasting a high-end, leather black-on-black design, the adjustable band and chrome-like accents will complement any outfit. With 40mm drivers and a Bluetooth range of up to 10 meters, these headphones deliver sound and function at the top of their class. Listen for longer w/ 10 hours of nonstop playback time.